GPSPro fleet tracking unit offers leading edge technology including a new 3-axis accelerometer for measuring driver behavior and vehicle impacts while offering the high reliability fleet customers demand. Our fleet management device is a robust tracking device you can count on for AVL applications. The devices incorporates GSM/GPRS, CDMA 1xRTT or HSPA wireless communication along with extra sensitive GPS technology in an affordable package. High sensitivity GPS and either internal or external antenna options enables the device to be mounted virtually anywhere for easy, inexpensive installations. An integrated 1,000mAh back-up battery allows for short-term or last-gasp tracking when disconnected from main power. The LMU-2700 also features a 3-axis accelerometer to detect and act on hard braking, aggressive acceleration, and vehicle impacts. 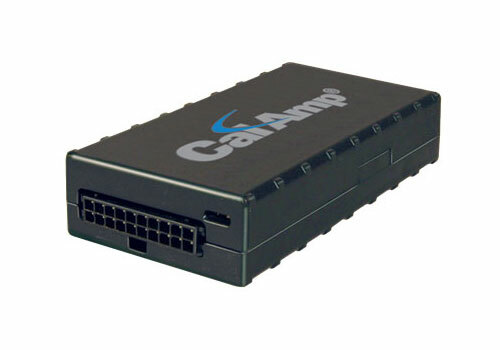 GPSPro employs CalAmp’s industry leading on-board alert engine, PEG (Programmable Event Generator). This advanced engine monitors external conditions and supports customer-defined exception-based rules to help meet the needs of your application. PEG continuously monitors the vehicle environment and responds instantaneously to pre-defined threshold conditions related to time, date, motion, location, geo-zone, input and other event combinations. This behavior can be programmed by CalAmp before shipment, at a customer’s facility, or over-the-air once the unit has been fielded. With PEG, your unique application will meet demanding customer requirements and give you a distinct advantage over your competition. The LMU-2700 also leverages CalAmp’s industry leading over-the-air device management and maintenance system, PULS (Programming, Updates, and Logistics System). Configuration parameters, PEG rules, and firmware can all be updated over-the-air. PULS offers out-of-the-box hands-free configuration and automatic post-installation upgrades. You can also monitor unit health status across your customersâ€™ fleets to quickly identify issues before they become expensive problems. © 2019 ALL RIGHTS RESERVED.